Cordial, classy, and ever so popular, blue is a veritable pillar of the visible spectrum of light. While the statement “blue is a primary color” is one of the most plain axioms out there, there’s a reason for blue’s importance and popularity. Green may be the color of language, but blue is the color of emotion. Think of it this way—someone can ask the question “what do you think of this?” and you’ll likely drum up an answer and then forget it soon after. However, when someone asks the question, “how does this make you feel?” the circumstances change immediately. Suddenly, you delve deep into your own soul and heart, searching for answers that are, figuratively speaking, more than just skin deep. To us here at JAM, that is what blue is. The philosopher’s color. The shade of the soul. Deceptively simple blue. 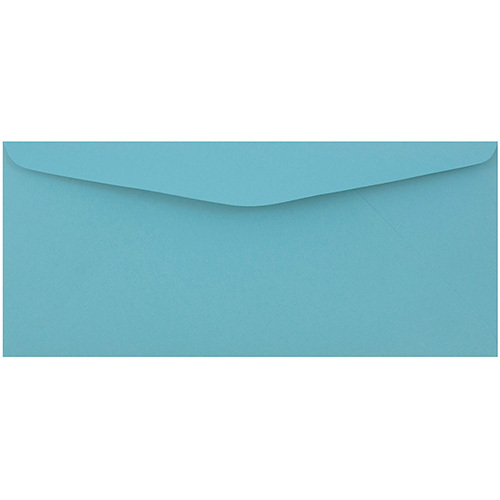 So, perhaps some blue #9 envelopes won’t change your life, but who knows? The only person who can answer that is you.